Neo Romanticism is a generic description of one of the most significant movements in 20th century British art; its boundaries and content are governed more by a spirit of place and an impulse to convey the quintessence of the British Isles. Influences include landscape, weather, history and literature rather than any specific stylistic interpretation, language or school. This exhibition catalogue traces its lineage, from the early pastoral scenes of Blake and Palmer, through to Sutherland and the key decades of the 1930s and 1940s, when Neo Romanticism found it’s unique voice during a period of relative cultural isolation in these isles. 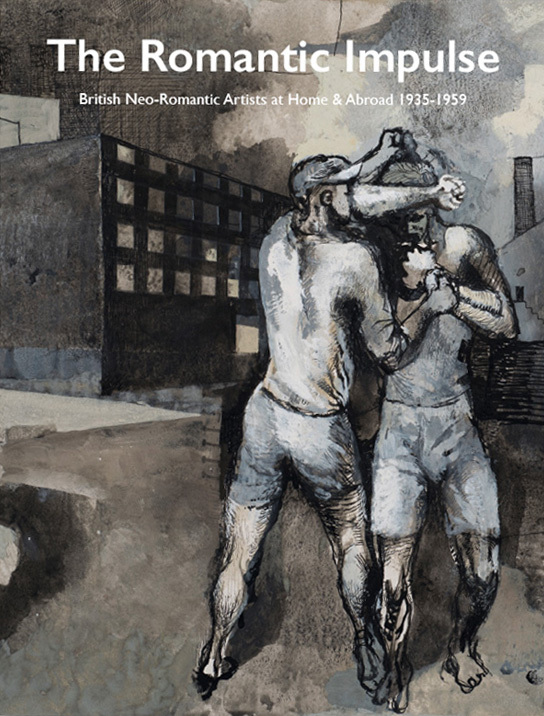 The artists most associated with Neo Romanticism are Sutherland, Nash, Piper and Moore followed by the younger generation of Ayrton, Craxton, Clough, Minton, Vaughan and the ‘Two Roberts’ Colquhoun and MacBryde. All these are included in this catalogue. We are grateful to Gerard Hastings for another of his incomparable catalogue essays and his help in preparing the exhibition. 120pp with colour images throughout.